VIP event hosted by Moet Hennessy. Laguna Champagne Bar , located on the Palazzo's casino floor is a relaxing and inviting bar that welcomes all of its guests who enjoy premium beverages in a high-end, luxury environment. This new venue can and will impress even the most distinguished beverage connoisseur. Actress, Lindsay Price, celebrated the exclusive Grand Opening After a red ribbon cutting ceremony with Sebastian Silvestri, Vice President of Food and Beverage at The Palazzo and The Venetian. She then joined the VIP guests for an evening of champagne cocktails and glasses of Dom Perignon. Laguna's one of a kind beverage menu features variety of classic champagne cocktails that pleased our palate. Some of the selections include Buck’s Fizz with fresh orange juice and Moet & Chandon Brut Imperial, Flower Eclipse with St.Germain elderflower Liqueur, fresh lemon juice, and Veuve Clicquot Demi Sec, and Bubblicious with Campari, fresh orange juice, and Moet & Chandon “Nectar” Champagne. A signature ritual at Laguna is the Champagne “Boom Boom” shooters. They are served on a wooden plank by a Champagne Sommelier. After discussing beverage choices and selection, the guest taps the shooter on the plank twice, making the champagne foam before shooting it down. Many Shooter choices are available. We could choose from Sparkling Café with Navan, Patron XO Café, Moet & Chandon “Nectar” Champagne; La Poire with Absolut Pears, Pear Coulis, and Moet 7 Chandon Brut Imperial; Orangina with Belvedere Citrus, Grand Marnier, Orange juice, and Moet & Chandon Brut Imperial; and Imperial with Grey Goose L’Orange, TY KU Citrus Liqueur, and Moet & Chandon Brut Imperial. Along with their menu of champagnes, Laguna Champagne Bar features entertainment including a professional harpist performing delicate arrays of sound every Friday and Saturday. Additionally, Happy Hour specials occur daily from 5:00 p.m.-7:00 p.m. and 10:00 p.m.-12:00 midnight but the Bar is open 24 hours a day. After spending an evening at the VIP event we can only say that Laguna Champagne Bar adds even more class to what we believe is one of the classiest resorts on the strip, The Palazzo Resort. 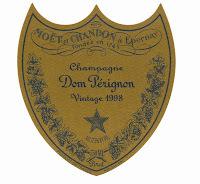 It was a real pleasure to enjoy great Champagnes and live music in a venue that you can speak in a normal tone of voice at your own table. Laguna will be a favorite of ours to stop in for a dink whenever we are in the Venetian or the Palazzo . We have been very fortunate over the years to have had the opportunity to meet Celebrities , Michelin and James Beard Award Winning Chefs , and renown winemakers. But , meeting World Champion Fighter "Smokin" Joe Frazier was an experience that we will cherish. We had the opportunity to relive the glory days with World Heavyweight fighter Joe Frazier at The Venetian and The Palazzo’s Legends of the Sport. The night began with a highlight reel of the critically-acclaimed film, “Thrilla In Manila,” with a focus on the background of the rivalry, how the rivalry divided America, the post-fight aftermath, and the fight’s place in history. After the viewing, Frazier conduced a brief Q&A and then lead a discussion on topics such as the sport of boxing, great rivalries, putting your life on the line and the sport of boxing today. After the Q & A he was presented with a Legend of the Sport trophy thanking him for his contribution to the sport of boxing. For those very few people who may not know much about this legendary fighter, Joe has quite a remarkable story. Joe Frazier was born January 12, 1944 and was an Olympic (1964) and World Heavyweight Champion, active from the mid 1960s to the early 1980s. Frazier had a bullying fighting style, depending on bobbing, weaving and power punching. He is perhaps most famous for his vicious left hooks. Compared to Ali's style, he was close enough to the ideal bruiser that some in the press and media characterized the bouts as the answer to the classic question: "What happens when a boxer meets with a brawler." According to Joe in the HBO special documenting "The Thrilla in Manilla" fight, he was partially blind in his left eye due to a training accident in 1965. This would indicate that throughout his entire professional career, he fought with only partial sight on his left side. Today ,Frazier is still training young fighters, although he needed multiple operations for back injuries sustained in a car accident. It has been reported that he and Ali recently attempted a reconciliation, but as of October 2006 Frazier still claimed to have won all three bouts between the two. He declared to a Times reporter, when questioned about his bitterness toward Ali, "I am what I am." One of the most interesting facts about Joe Frazier was that some of the most memorable moments in the 1976 boxing-themed feature film, Rocky - such as Rocky's carcass-punching scenes and Rocky running up the steps of the museum of art , as part of his training regimen - are taken from Joe's real-life exploits, for which he received no credit. "But he never paid me for none of my past. I only got paid for a walk-on part. Rocky is a sad story for me." Joe said. Meeting Joe Frazier and having the chance to speak to him was inspiring. The drive and determination that he had as the young man who started as an Olympic Champion and went on to become Heavy Weight Champion of the World is still there today at 66 years of age. We can all take a lesson from people like "Smokin " Joe Frazier. VINO LAS VEGAS has not spoken about an individual wine in several issues. As many of our passionate readers are well aware , we are always on the look out for those "hidden gems". Many times they have productions of less than 100 cases. We have found another one of those hidden gems , this time in Napa Valley. The Hugo Family Cellars 2008 Veris was a nice find. This lovely , 100 % Sauvignon Blanc from Napa Valley was a real treat. 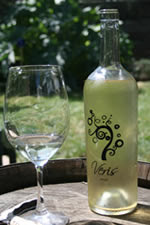 The 2008 Veris is their inaugural release of a Sauvignon Blanc . Veris in Latin is defined as “the production of spring”. With only 200 cases produced , this wine is one of those small production world class wines that we are always in search of. On the nose , This Sauvignon Blanc wine exhibited surprisingly complex aromatics of citrus and tropical fruit that can bring back distant memories of a warm summer day over looking a tropical ocean. The Palate explodes with flavors of orange peel, papaya, guava , and freshly cut grass . Grapefruit notes also some through with a wonderful mouth feel that featured underlining acidity for a nice clean finish. Glenn Hugo's relationship with Girard winery began over three years ago . Located in St Helena , Napa Valley with the soil composed of Riverbed remnants 80% Clay and 20% pebbles was the terroir that brought this great Sauvignon Blanc to life. 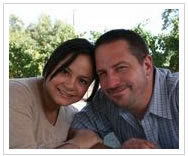 Pam and Glenn met in 2001 while working for a large restaurant company in Houston, Texas. In 2003, they took the chance , got married in April and in October packed up and moved to Napa, and began to live their dream. Through the next few years Glenn got an education from from some of the great winemakers of Napa Valley. In 2007 they purchased two tons of Napa Valley Syrah, 1/2 ton of Russian River Syrah and 1/2 ton of Russian River Grenache. After surviving their first harvest , Glenn and Pam vowed to produce quality, well-balanced wines to be enjoyed with food as well as on their own. Their passion for having fun with wine amongst family and friends is their passion and can be tasted in their wines. The Hugo Cellars Wine labels a very unique to say the least. Painter, illustrator and designer Natasha Wescoat did a wonderful job creating original art for the labels. Her work has been on ABC's Extreme Makeover Home Edition, a Lifetime Channel original movie and the blockbuster film, Marley & Me. As part of Abrakadoodle's artist of distinction program, Wescoat's work is being taught in schools nationwide. Natasha is active in a variety of groups, donating work to worthy causes like Social Media For Social Change, Twestival and the Black Card Circle Foundation. In 2007, Natasha was named "Emerging Artist and Trendsetter" by Art Business News, the largest trade publication in the U.S. In February 2009, the artist exhibited her work at the Ritz-Carlton. For more information on Natasha Wescoat and her work , please visit http://www.natashawescoat.com/#. Vegas Uncork’d Presented by Bon Appétit is one of the fastest-growing epicurean events in the United States, will be held May 6-9 in Las Vegas, coinciding with this year’s Mother’s Day weekend. The four-day fête features new events, new chefs and a diverse and richly enhanced program with the ultimate who’s who in the food world, celebrating the status of Las Vegas as an international gastronomic destination. In 2009, Vegas Uncork’d Presented by Bon Appétit experienced record attendance across the board—featuring an increase in participating chefs, new business partners and sponsors, and a 17 percent spike in ticket sales year over year. Building on that momentum, this year will feature more than 30 events blending the worlds of food, gaming and entertainment in the distinct way that makes Las Vegas so memorable. The playground for Vegas Uncork’d Presented by Bon Appétit is destination wide and features this year’s anchor partner resorts, each of which offers an enviable roster of on-site restaurants and in-house chefs: Bellagio, Caesars Palace, MGM Grand, Mandalay Bay and Wynn | Encore. 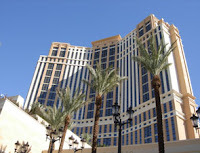 Joining the lineup for the first time this year as an associate partner is The Venetian | The Palazzo. The event’s charitable partner is the Three Square Food Bank, which is dedicated to providing wholesome food to hungry people, while passionately pursuing a hunger-free community. Culinary Conversation with Chef Wolfgang Puck – New to the program this year, Bon Appétit Editor-in-Chief Barbara Fairchild holds a tête-à-tête at Bellagio’s Fontana Lounge with the icon that created the world of the celebrity chef, Wolfgang Puck. Together, they trace the growth of Las Vegas as an international gastronomic destination. Masters’ Series Dinners –This event will be hosted at Caesars Palace with Bobby Flay at Mesa Grill, Bradley Ogden at Bradley Ogden, Restaurant Guy Savoy with Guy Savoy and Rao’s with Carla Pellegrino. · Masters’ Series Luncheons – Brand new to the line up this year are luncheons at The Venetian | The Palazzo with Wolfgang Puck at CUT, David Burke with David Burke, Restaurant Charlie with Charlie Trotter and Piero Selvaggio’s Valentino with Luciano Pellegrini and Piero Selvaggio. Ultimate All-Star Interactive Luncheon – Step into the kitchen and play sous-chef to an all-star lineup of Wynn Las Vegas and Encore Las Vegas chefs at this incredible interactive luncheon at Wynn | Encore with Paul Bartolotta, Frédéric Robert, Alex Stratta and David Walzog. 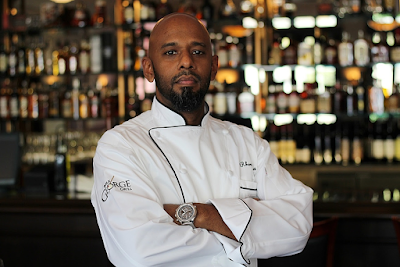 · Grand Tasting at Caesars Palace – A delectable evening featuring 50 restaurants and 50 vintners at the wildly expanded, five-acre Garden of the Gods pool complex at Caesars Palace. · Better by the Bay with Alain Ducasse and Charlie Palmer – Dine under the stars with a beachside barbecue at Mandalay Bay’s 11-acre tropical water environment and 1.6 million gallon wave pool. Enjoy an East Coast-inspired menu from Charlie Palmer and tastes from coastal France created by Alain Ducasse. Beach attire required. New to the program this year. · Chef’s Table with Alain Ducasse – New to the event lineup this year is a seat at the table with Chef Alain Ducasse, considered to be one of the most renowned French chefs of his generation, at miX, high atop THEhotel at Mandalay Bay. For the first time ever, a small group of Vegas Uncork’d guests will join him as he conducts his seasonal menu changes. · Fashion Feast: A Delicious Evening of Style and Taste at Bellagio – Haute cuisine meets savory couture––intricate details, impeccable lines and quality down to the last accessory on and off the plate. This event will deliver front row access to the most celebrated Bellagio chefs and the hottest Via Bellagio designers, while you indulge in a delectable five-course dinner accompanied by wine pairings selected by Bellagio's Wine Director and Master Sommelier Jason Smith. New to the program this year. · Celebrity Chef Blackjack – Try your luck poolside at Encore with icons of the culinary world such as Bobby Flay, Charlie Palmer, Joël Robuchon, Alex Stratta, Kim Canteenwalla and Carlos Guia. Afterward, the excitement continues at the spectacular XS nightclub. · Wine Immersion Experience at Bellagio – Want to know what the numbers really mean? Gain a better understanding of wine scores and ratings at a behind-the-scenes panel discussion hosted by Bellagio’s Wine Director and Master Sommelier Jason Smith at Jasmine. · Payard Pâtisserie and Bistro Tea & Dessert Demonstration at Caesars Palace – Celebrate Mother’s Day weekend with a unique and scrumptious glimpse into the technique of this celebrated chef and his classic Parisian pastry shop. New to the program this year. 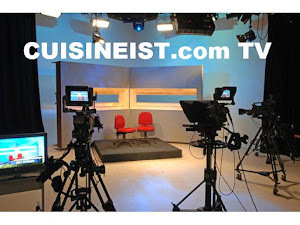 · Culinary Theatre: Two Master Chefs Collide – Rick Moonen of rm Seafood Cafe and Hubert Keller of Fleur de Lys and Burger Bar have mastered the art of entertainment––both in the kitchen and on the stage. As they prepare their favorite signature dishes and "dish" about each other, you’ll enjoy their delicious creations with a side of comedy and a cocktail or two. New to the program this year. · Mother’s Day Brunch at L’Atelier at MGM Grand – Join Barbara Fairchild and Chef Joël Robuchon for an unforgettable celebration of mom on her special day. New to the program this year. Many of these events are already on sale. 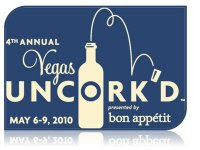 To purchase tickets and to see more information about this year’s event lineup, please visit www.VegasUncorked.com. There, you may also opt in to receive information about additional events as they are added to the schedule. VINO LAS VEGAS found ourselves beginning 2010 at the Venetian /Palazzo and its many parties. Whether toasting with Christina Aguilera or Nicole Richie during the midnight countdown, staying energized at the Red Bull No Limits New Year's Eve Party at Lagasse's Stadium or attending the Grand Opening of Smokin’ Hot Aces. Venues at The Palazzo featured special New Year’s Eve festivities that included LAVO, Lagasse’s Stadium, FIRST Food & Bar and Salute Lounge. Just a short stroll away at The Venetian, parties were held at TAO, Smokin’ Hot Aces, V Bar and La Scena. The Red Carpet and its lights shined bright as we rang in the New Year with Nicole Richie as she hosted LAVO’s New Year’s Eve celebration with a special DJ set by Joel Madden and sounds by DJ Eric D Lux. VINO LAS VEGAS visited many of the fine dinning venues at both resorts leading up to the midnight festivities. Stops at CUT , SUSHI SAMBA , CANNONITA and CARNEVINO got us started off on the right foot. Over at the Venetian , Christina Aguilera hosted New Year’s Eve 2010 at TAO Asian Bistro & Nightclub, presented by Stephen Webster. World-renowned DJ Five was on hand to ring in the New Year with a memorable, high-energy set that kept the guests dancing into the early morning hours of 2010. Singer, songwriter, performer, producer, Christina Aguilera was a real pleasure to meet. She is one of the most accomplished performers of the last decade, she has sold more than 25 million albums worldwide, achieved four #1 singles on the Billboard hot 100 chart, and has won four Grammy Awards and a Latin Grammy Award, as well as two top five albums in the United States. She has collaborated with other great artists including Herbie Hancock, Andrea Bocelli, Sean “Diddy” Combs and most recently, the legendary Tony Bennett. She is well recognized with the 2007 Grammy Award Best Female Pop Vocal Performance: 'Ain't No Other Man'2006 MTV Europe Music Awards Best Female Artist2004 MTV Asia Award Favorite Female Artist2003 MTV Europe Music Awards Best Female 2003 Grammy Award Best Female Pop Vocal Performance: 'Beautiful'2001 Grammy Award Best Pop Collaboration with Vocals: 'Lady Marmalade'2001 Latin Grammy Award Best Female Pop Vocal Album: 'Mi Reflejo'. It really does got get much better than this to start off the new year. Nicole Richie was over at the Palazzo in LAVO ringing in the New Year as well. In 2003, Richie and best friend Paris Hilton starred in Season 1 of the reality series The Simple Life, in which they lived for a month with a family in the rural community of Altus, Arkansas. The series debuted on Fox on December 2, 2003, to high ratings. The premiere episode drew 13 million viewers, increasing Fox's Adults 18-49 rating to 79%. In 2005, Richie wrote a semi-autobiographical novel, The Truth About Diamonds, which was released by Bharell Jackson Publishing. The novel is loosely based on her life, but is mostly fictional. It chronicles the life of Chloe Parker, the adopted daughter of a singer who makes her way through all of the hottest nightclubs and parties in Hollywood and battles a drug addiction. In early January 2006, The Truth About Diamonds peaked at number #32 in Hardcover Fiction on The New York Times Best-Seller List. With fireworks lighting up the strip , a stop at MORELS French Steak house provided us with a "strip side " view of the opening seconds of 2010 . The Venetian / Palazzo resorts teamed up with an A list of celebrities , partys and the always fabulous dining opportunities top start 2010 off in the right way .